The material these bushings are made of is not vulnerable to the same stretching, cracking, and rotting that the rubber was. As such the 11.3109 is much more durable and dependable. Having trouble with your Miata? Sloppy handling, uneven tire wear, and front end noise? All of these could be caused by your OE rubber front control arm bushings! Your Mazda Miata used to zip around quite smoothly, maybe it still does to a certain extent. However, recently it's performance seems a bit off.  Maybe a little extra noise from the front end, your steering feels a bit lose, or you've noticed some uneven tire wear? These problems will progressively get worse until the front end rattles incessantly, the Miata is constantly drifting to one side, and you feel like you need new tires each time you pull up to the gas station. These problems can all be attributed to your front control arm bushings. The control arms on the Miata connect the frame to the suspension and are designed to increase your handling while smoothing out your ride. A ball joint on one end of the control arm allows your suspension and frame to move in unison while taking turns and driving over bumps. The other side of the control arm is connected to the frame through the use of two mounts that are formed by bolts and bushings. 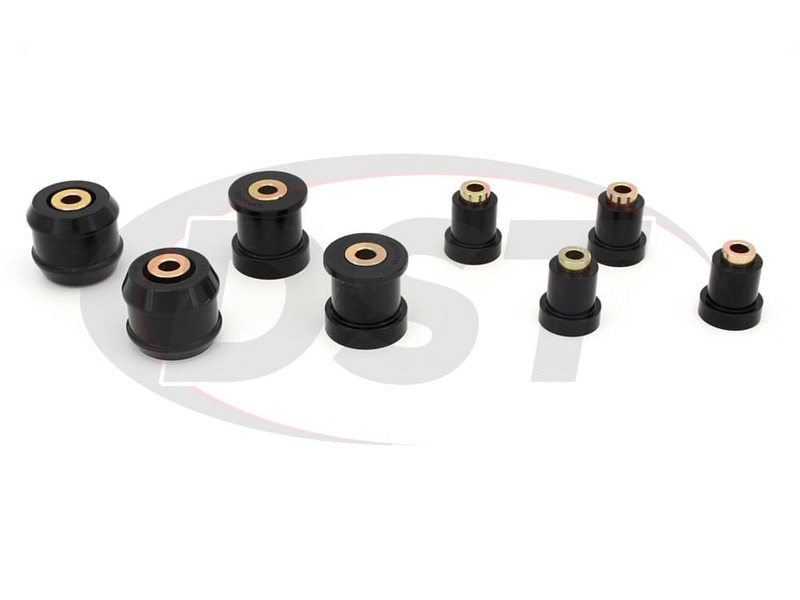 The original bushings installed on the Miata are made of rubber. This rubber is prone to stretching after hours of constantly having to adjust to the turns and bumps that your suspension is exposed to. For many people, this is when they begin to notice their Miata's performance issues. But the stretching isn't where it ends. Rubber also starts to crack and rot away over time. Once the front control arm bushings are gone, more serious problems manifest. It becomes difficult to control the Miata at high speeds, it makes a ton of noise, and tires wear down much faster. What you don't see is what's going on underneath the Miata. At the very least your control arm is being damaged now that the bushings are no longer there to protect it, taking the brunt of those impacts will quickly erode your control arm, and once that wears out your problems become much, much worse. Let the 11.3109 Help You! Don't spend a ton of money replacing the entire control arm. 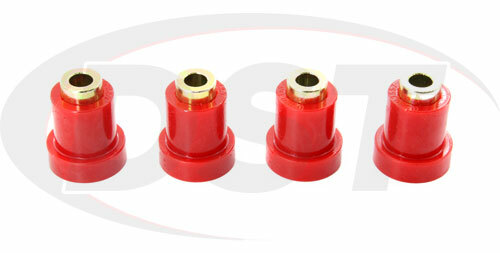 Check out Energy Suspension's Hyperflex polyurethane control arm bushings! Enjoy higher durability, better handling, and more longevity without the insane price tag! Here at Diverse Suspension Technologies we carry just the part your Miata needs to not only keep it running smoothly but make it run better than before! 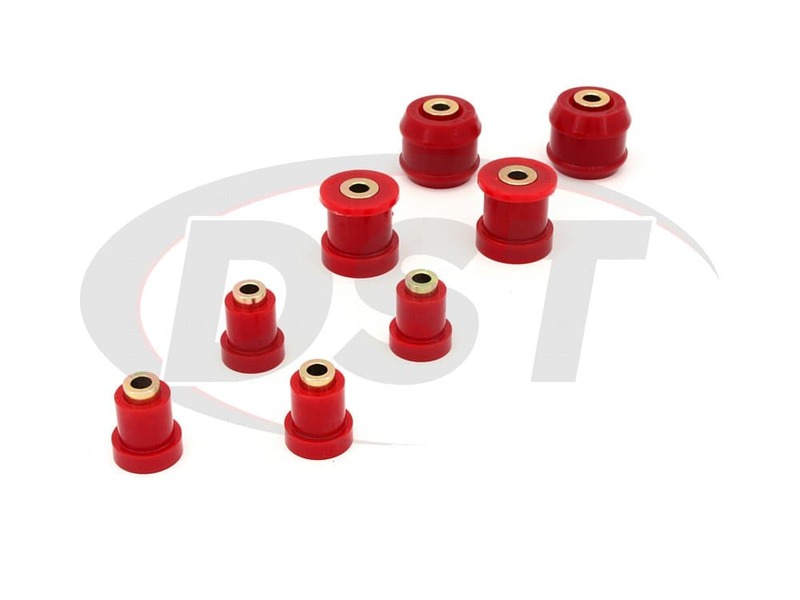 Energy Suspension's 11.3109 is a polyurethane set of front control arm bushings made specifically for the Mazda Miata MX5 from 2006 to 2014. The material these bushings are made of is not vulnerable to the same stretching, cracking, and rotting that the rubber was. As such the 11.3109 is much more durable and dependable, keeping your control arm secure and in good condition for much longer. 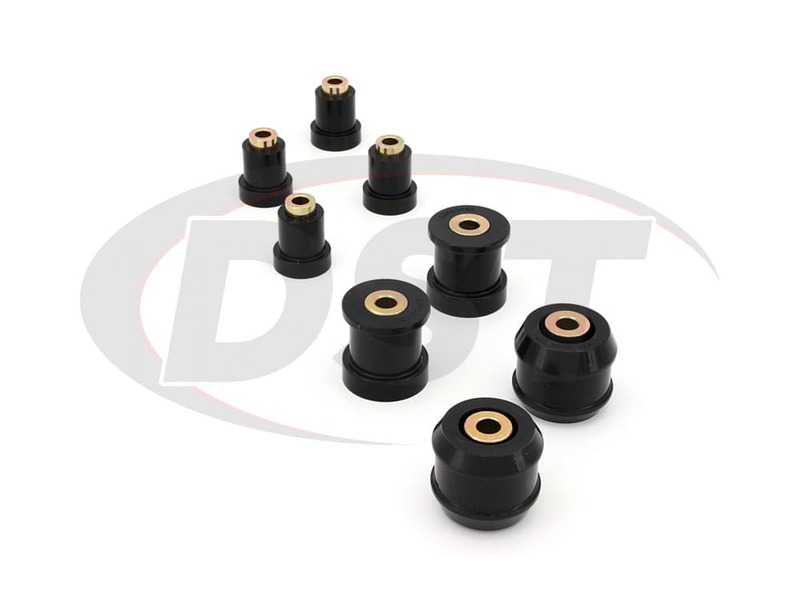 Because the 11.3109 replaces the old worn bushings you should instantly see a difference in steering and tire wear after the install. The 11.3109 has a higher durometer than the original rubber, increasing your vehicle's responsiveness and granting you better control over your car. Due to the increased durometer the 11.3109 may also slightly increase the road noise and vibration in your cab, but the dramatic change in handling and durability far outweigh the slight increase in noise. For those of you looking to drive your Miata hard, you may even find a slight increase to vibrations preferable, allowing you to get a better feel for what your roadster can handle. 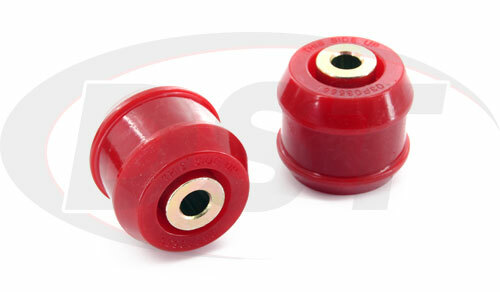 The 11.3109's half-bushing design makes installation much easier, saving you time and effort! 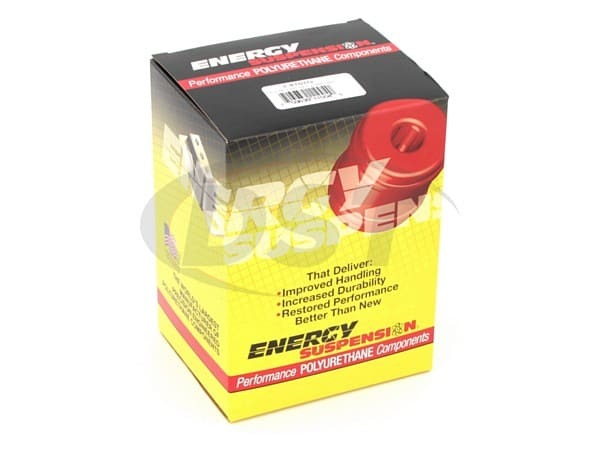 Plus, the grease included with this kit will make sure you get the performance boost you want without any squeaking! Once you get your 11.3109 it's time to get it installed. Removing the control arm is an obvious necessity, but what about specific tools you need? A press may be required to get the OE bushings out depending on the level of deterioration. If the OE rubber bushings are being particularly stubborn you can also burn them out using a blowtorch. Once you get the OE bushings out it's recommended that you remove any sharp edges on the control arm that may cut into the new bushings while attempting to install them. While you are smoothing out those sharp edges it's important to remove the OE bushings shells, the 11.3109 might not fit otherwise. After that, installation is as easy as pressing each bushing into the receptacles on the control arm, slipping the sleeve through the center, and tightening it all down using the OE bolts! In addition to the easily installed design, the sleeves in the 11.3109 are made to fit your OE bolts, saving you money on hardware. The 11.3109 also comes with plenty of grease so you can complete the install with ease! When it comes to grease there are two general rules of thumb: Apply the grease on every surface of each bushing where the bushing will touch metal, and there is no such thing as too much grease. If you follow these rules then you won't have to worry about your new bushings squeaking. For more details involving grease and purchasing additional packs check out Energy Suspension's 3-pack of grease! Red hot or sleek black, the color is really up to you. 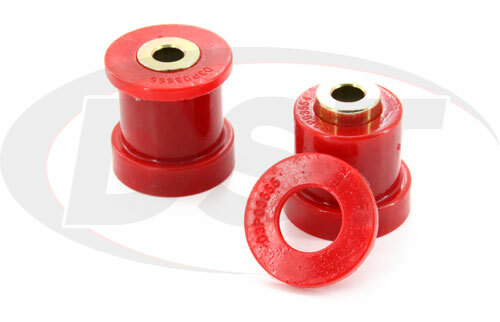 Regardless of color, these bushings will perform exactly the same. Slap on some style with your suspension upgrade! The 11.3109 is available in either black or red. There is no difference in performance, durability, or dependability. 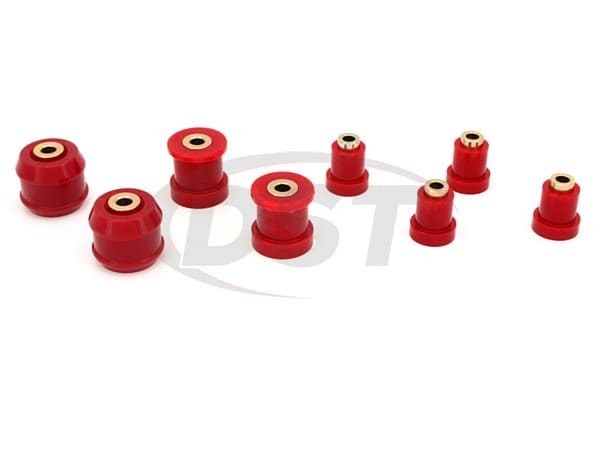 Some drivers want the retain the OE look because the red bushings don't work with their color scheme or because they don't want to make it obvious how they've modded their car. Others want to show off the hard work and money they've put into their ride. Either way, both the black and red bushings are still made with Energy Suspension's Hyperflex polyurethane, so you can feel safe picking whichever color suits you. Your control arm ball joints, inner tie rods, or even your sway bar could be causing similar problems. We recommend visiting a mechanic to pinpoint the source of your problems before purchasing anything in order to avoid additional delays! 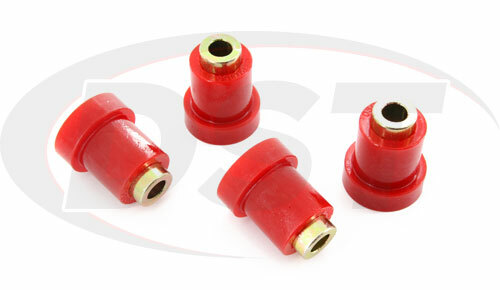 While most of the problems previously mentioned can be either completely, or at least partially, solved by replacing your control arm bushings with the 11.3109, it is important for you to know that there are other parts that can overlap when it comes to some of these problems. Other big contributors to both steering problems and tire wear include the ball joints that your control arm attaches to and the inner tie rods. Extra noise from the front end can be caused by your sway bar, your upper strut mounts, or maybe even your coil springs. Another problem that can occur is damage or defect in the control arm itself, it's hard to be sure. Which is why here at Diverse Suspension Technologies we highly recommend taking your vehicle to a professional in order to pinpoint the exact problem before purchasing anything. Besides a dependable suspension, buying the 11.3109 also gets you a two-year manufacturer defect warranty, fast same-day shipping, and great customer service! When you purchase the 11.3109 through our website you automatically gain Energy Suspension's 24 month manufacturer defect warranty at no extra cost! This warranty is handled in-house through Diverse Suspension Technologies so you aren't required to contact anyone else! In addition, when doing business with us you can be sure that you will receive great customer service! We pride ourselves on giving great service from beginning to end, from the initial phone call or live chat to the process of installation, we will be there contacting manufacturers as needed and making sure you're getting what you need! Periodically we also check up with recent customers to see how well their part is working out for them and if they require any more help! Plus when you order a part that has been labeled as "In-Stock" your package will almost certainly be shipped out on the same day using whatever method of shipping you selected! Diverse Suspension Technologies' goal is to get you back on the road, track, or trail as soon as possible, without hassle. Ride Smooth and Drive Hard! starstarstarstarstar" Great quality and overall outstanding customer service. " I installed these bushings about two weeks ago and the car feels great after that. The car feels much more solid but not too stiff, perfect replacement parts for any car I would say. Thanks a lot to all the staff that has helped me ordering these parts and also answering all my questions. Your customer service is awesome. 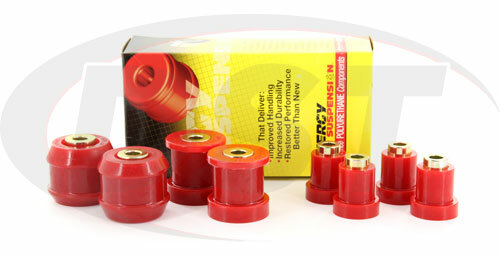 What is the durometer of part number 11.3109 and is this kit for the upper and lower control arms? Part number 11.3109 has a durometer of 85A and the kit does include bushings to replace on both the upper and lower control arms.